Welcome to Norton’s Yacht Sales! 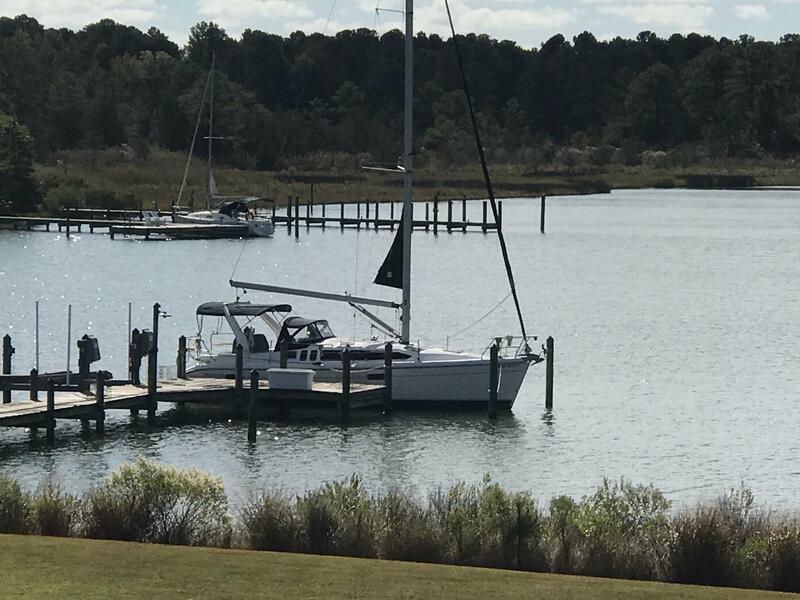 Norton’s Yacht Sales of Deltaville, Virginia has been working hard since 1948, to ensure our customers have a great boating experience, so they can tell their friends to try “testing the waters” with us. Norton’s has the largest brokerage inventory in the area, and we are also very proud dealers for Jeanneau Sailboats and Cobia Powerboats. Whether you’re looking for New or Pre-Owned, we’ll help you choose the best. The Service and Dedication You and Your boat Deserve! Learn It & Live It! Norton’s Yacht Sales focuses on the boating lifestyle here. We want people to embrace the boating life by either learning how to sail in our ASA certified sailing school, vacationing on of our Clean, Fully Equipped Charter Sailboats , or maybe on their own boat they bought here in Deltaville. This 1999 Hunter 340, "Breezy Rider" has been meticulously maintained and is very clean. The In-mast furling and traveler on the arch makes single handling quite easy. The walk-thru transom allows easy access to the water and dink. Sails were serviced and repaired in 2016. "Acadian Driftwood" is a beautiful 2008 JSO 45DS that has been well outfitted and maintained. The 3 cabin/2 head layout makes it the perfect size for your home away from home. Beautiful teak and Ultra Leather is a great accent to the spacious salon and L-shaped Galley. Comes well equip and easy to handle with all the controls located in the cockpit. A Stunning vessel ready for her next big adenture! Come See!